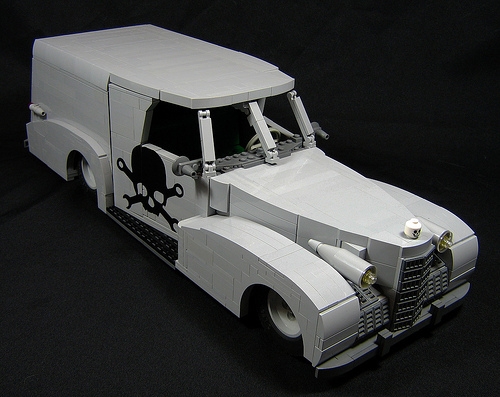 Nathan Proudlove needs no introduction to any LEGO fan who hasn’t been living under a rock for the last decade. The man is not only an incredibly nice person, he is a fantastic builder as well. Currently he is working on a series of vehicles based on the four horsemen of the apocalypse. Death just looks so sleek and menacing, I had to blog it. Check out War and Famine as well.